The usual words that one naturally associates with the term – deserts are; sand, heat, dry, utter chaos! 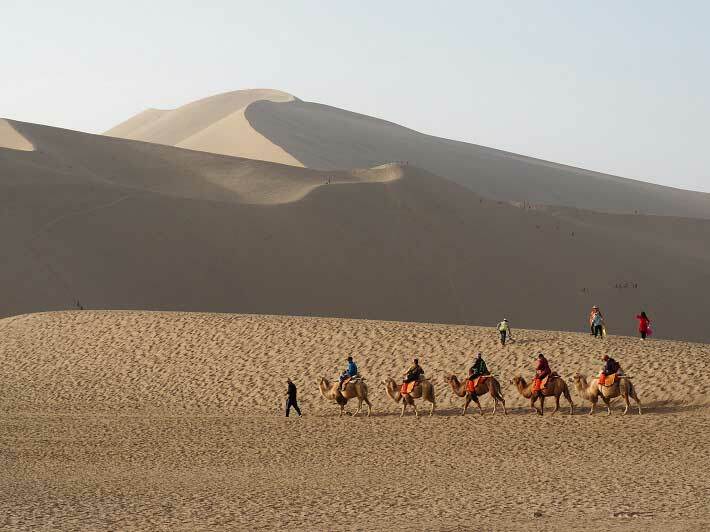 Anyway you do not always have to feel dread every time you think of vast stretches of desert land as we have summed up around ten of the best deserts in the world. Here you can take a look at all the reasons why some of these beautiful, amazing and sometimes downright lovely deserts should not give you the sinking feeling inside. Take a look at what makes these deserts some of the best in the world. This desert, located in Bolivia would change your conception of the idea of deserts completely. 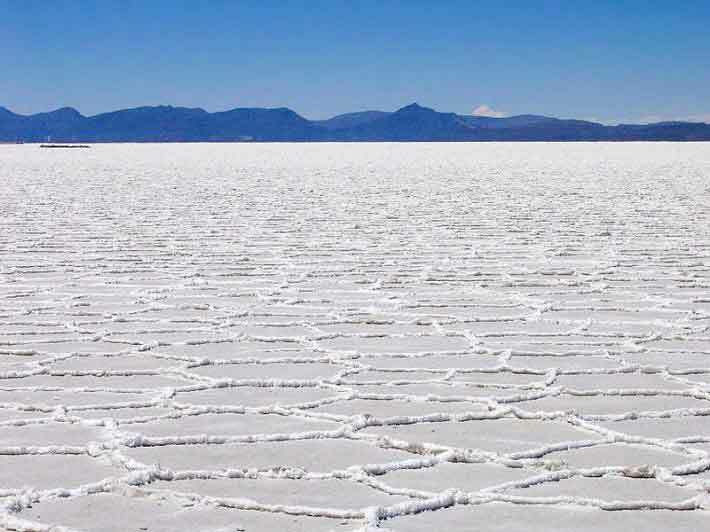 It happens to be the largest salt desert in the world but the beauty of the place is exceptional. The desert is completely flat and the so large and crystal in its salty nature that the whole sky seems to be reflected in it creating the ground in different shades of blue. Another beautiful aspect of the desert is the numerous lakes that you will find here; these lakes are in multiple colors because of the minerals that make it up. The effect of these soothing colors is remarkable. This is the world’s largest desert and could very well be termed as the most impressive desert in the world as well. Only one single country cannot be allocated with the desert, but it includes the countries of Egypt, Tunisia, Algeria, Sudan, Morocco and several others. There is indeed here, miles and miles of sand with very little rainfall and slight plantation and creatures; however the Sahara desert is definitely an icon for the African continent and a brilliant natural phenomenon no matter how inhospitable that it might seem. This desert is located in Mongolia and stands for one of the most incredible sights in the world. The desert is also often called “The Flaming Cliffs”. This term originates from the fact that the desert is covered in sand dunes with the existence of a lot of orange high rocks and cliffs. So the cliffs and rocks with their flaming orange color appear to be on fire as compared to the vast expanse of sand dunes in the rest of the landscape. The sight therefore is definitely worth a visit. 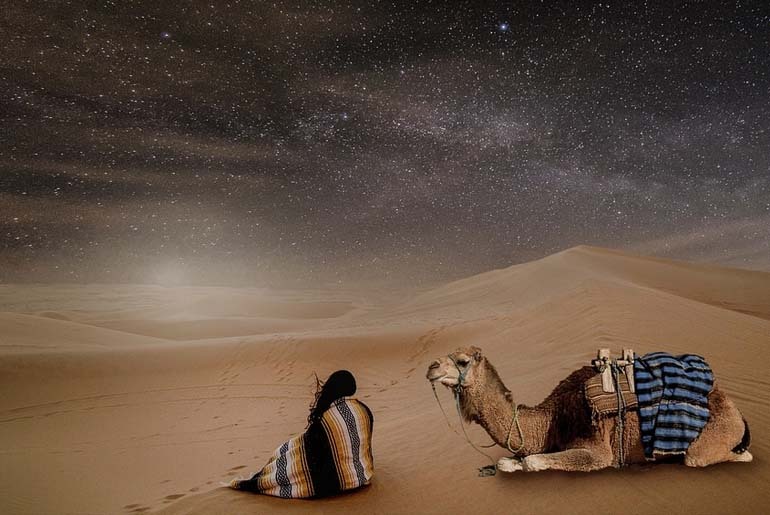 This desert located in Jordan is claimed by many to be one of the most beautiful and un spoilt deserts in the world. The desert is covered with huge sandstone mountains and granite rocks giving one breath taking views of 1700 meters of large rocks and canyons in depth. Here too one finds evidences of ancient people having lived in the desert caves and in fact there are still some tribes who still live in the desert. 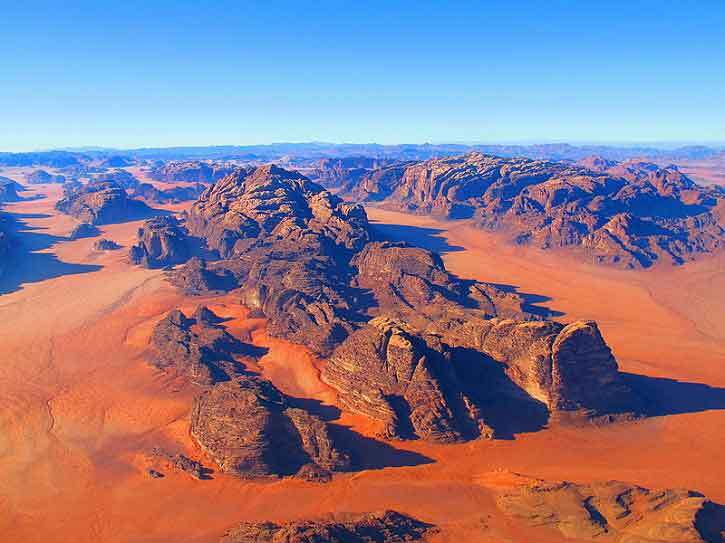 The Wadi Rum now is a protected area in order to safeguard its natural beauty. This desert is located in India and is also very often known as the Great Indian Desert. 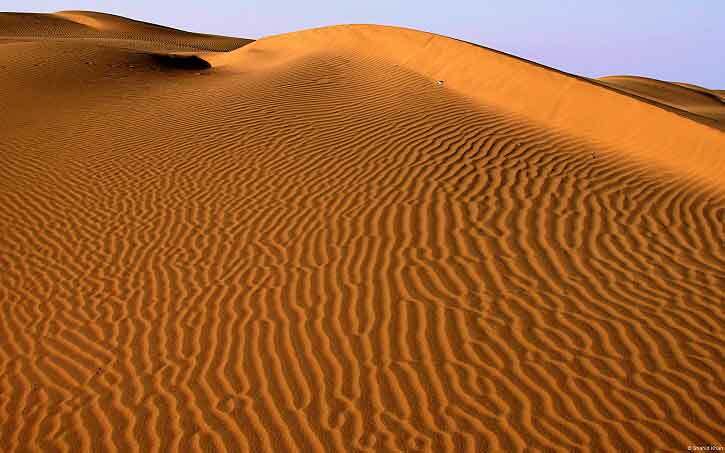 However, the desert also has some parts of it situated in India’s neighboring country Pakistan as well. This desert too has the conventional feature of miles and miles of sand under the burning eye of the Sun, however the beauty of the desert perhaps lies in the colorful people who inhabit the land along with all the different kinds of animals you will encounter there. 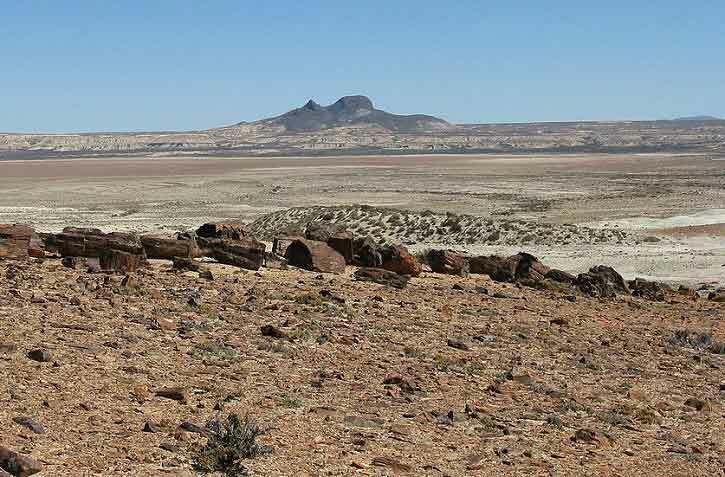 There are small hillocks and gravel plains that are found all over but the biodiversity of this desert is very rich. 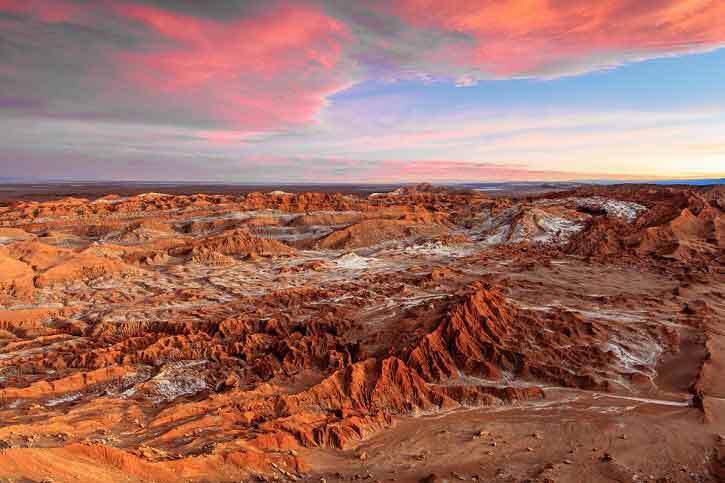 This desert is located in Argentina and is also among the list of some of the largest deserts in the world though it is the largest desert in South America. The desert is actually a cold desert but a visit would betray to you the ancient mystique about the desert with lots of caves and ancient man made paintings inside them. As expected the desert is vast with brownish red earth and the foxes that one encounters in the desert make a travel to the desert rather fascinating. Another feature that would strike one in this desert is that it is indeed quite windy here! This desert is one of the biggest icons of Chile, apart from the fact that almost the entire country is nearly covered by the desert itself. The area of the desert which is closest to Africa is considered to be the driest area on earth, so this land can be said to be completely synonymous with all the adjectives of sand and only sand and the dryness that is associated with the term desert land. The southern region of the desert is however where the beauty of the desert lies as the land is more livable and there is flora and fauna in abundance found here. However, Chile as a country finds its main tourism resources from the beauty of the Atacama desert no matter how dry it maybe! 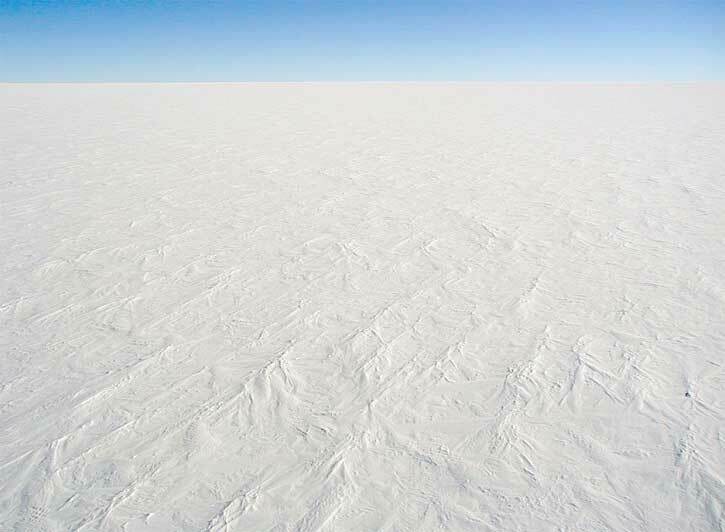 Of course located in Antarctica, this is one of the most fascinating desert lands in the world. Completely white in appearance this land is one the world’s driest desert in the world along with being the wettest deserts in the worlds at the same time. This is because, Antarctica happens to be the land of extremes, as there is hardly any rainfall here the land is naturally the driest place on earth, while because of the freezing climate the land is constantly covered with ice which also makes it the wettest land in the world as well. Another feature to add to all this is the fact that it is also one of the coldest places on earth! The Kalahari Desert is again one of the most fascinating destinations in the world and is located in Botswana. Many might not even call it a true desert in the way that most deserts are described. 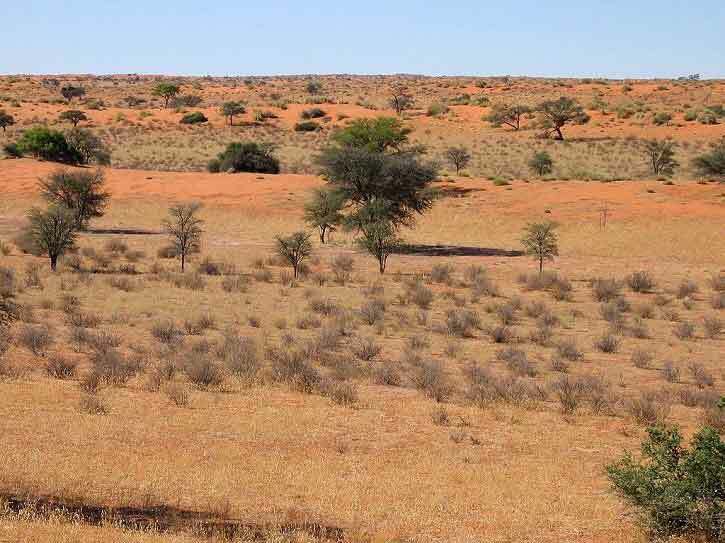 The Kalahari experiences lots of rainfall but what makes it a desert is that the rainfall is sporadic and it never settles on the surface making vegetation and the survival of the tribes of the Kalahari and animals a grave challenge. 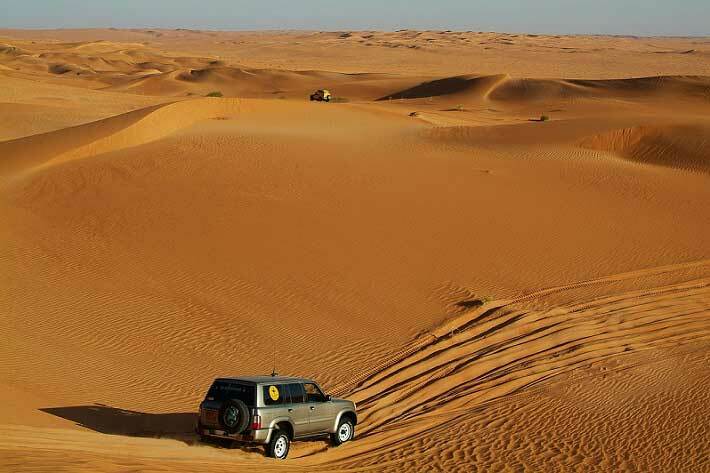 The beauty of the golden sand and sand dunes are utterly beautiful and make it one of the most splendid deserts in the world. This desert covers a large part of the USA and also happens to form some of the most breathtaking landscapes of the country. The desert has typically the mountain topography with sparse population, but the mountain vegetation that the desert supports is quite unique and varied in its species. 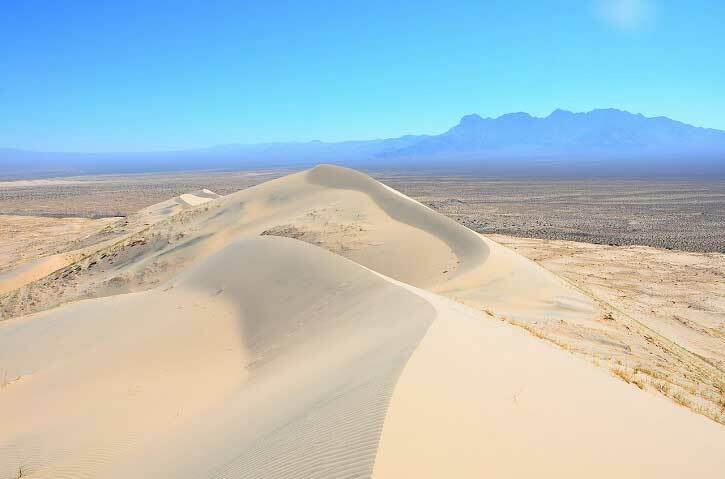 The Mojave Desert has some breathtaking views with four national parks and which includes the Grand Canyon and also numerous pretty lakes but the Desert has become quite urbanized and is not an untouched desert like most above. Another great attraction of the desert is the existence of a unique piece of geography termed as the World’s Largest Thermometer. Tourism does flourish here but mostly because of the cities that fall within the territory of the desert which includes the city of Las Vegas.